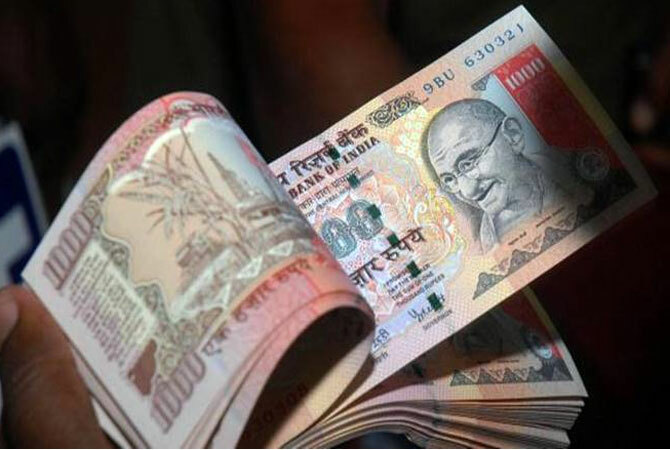 Extending losses against the American currency for the second straight day, the rupee dropped by another 17 paise to close at 67.48 on persistent dollar demand from banks and importers amidst weakness in equities. Foreign capital outflows also affected the rupee value. Foreign portfolio investors and foreign institutional investors sold shares worth a net Rs 537.46 crore on Monday, as per provisional data released by the stock exchanges. The rupee opened lower at 67.40 per dollar against Monday’s closing level of 67.31 at the Interbank Foreign Exchange market and hovered in a range of 67.35 and 67.55 before ending at 67.48 per dollar, showing a loss of 17 paise or 0.25 per cent. The domestic currency has dropped 40 paise or 0.60 per cent in two days. The dollar index was trading lower by 0.08 per cent at against a basket of six currencies in the early trade but ruled steady in the afternoon trade. The RBI fixed the reference rate for the dollar at 67.47 and euro at 76.45. In cross-currency trades, the rupee dropped further against the pound sterling to end at 99.47 from 98.49 yesterday and also moved down further against the euro to 76.41 fom 76.25. The domestic currency declined against the Japanese yen to 64.44 per 100 yens from 64.37. At overseas, the British pound eased against the dollar in early Asian trade, a day after posting its biggest daily gain in 7 years on the back of opinion polls that swung in favour of the campaign for Britain to stay in the European Union. The dollar made up some lost ground against its Japanese counterpart the late trade, having come close to a 22-month low earlier in the session ahead of the UK referendum on European Union membership later in the week. Pramit Brahmbhatt of Veracity Financial Services said, "The rupee opened on a negative note with at 67.40/USD against previous close at 67.31/USD. Taking cues from negative domestic equity market, the rupee extended its loss ahead thus by strengthening dollar. Our domestic equity market traded in narrow range with negative bias and closed with a loss of 18 points at 8,220 levels. Thus to end the trading session, the rupee closed by depreciating 18 paise at 67.48/USD. Trading range for the spot USD/INR pair will be 67 to 67.80/USD. In forward market, premium for dollar continued to rule easy on sustained receivings from exporters. The benchmark 6-month premium for November moved down to 188-190 paise from 189-191 paise yesterday and far forward May 2017 contract eased further to 382-384 from 384-386 paise. Oil prices fell in Asia, snapping two days of gains, ahead of a report on US crude inventories and the British referendum on whether to stay in the European Union. Meanwhile, the benchmark Sensex ended lower by 54.14 points or 0.20 per cent to 26,812.78.